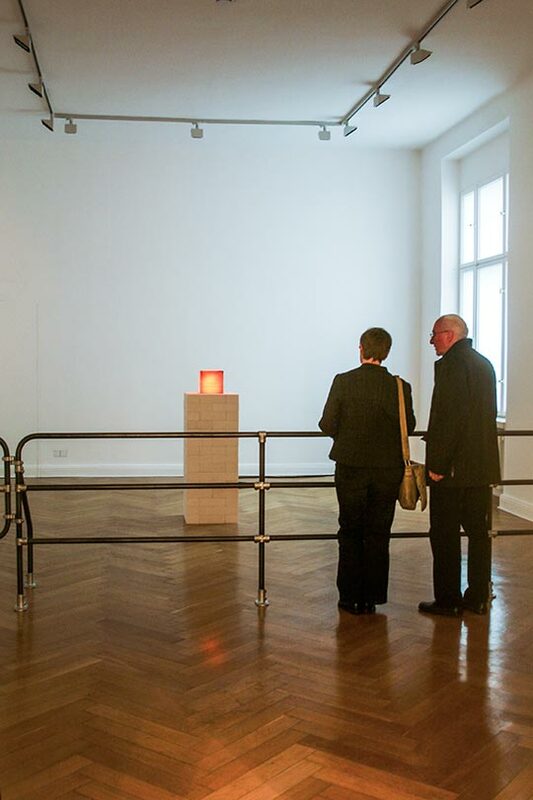 At the centre of the gallery space positioned on a specially designed plinth made from high refractive brick, stands an almost molten hot eight inch cube of steel. 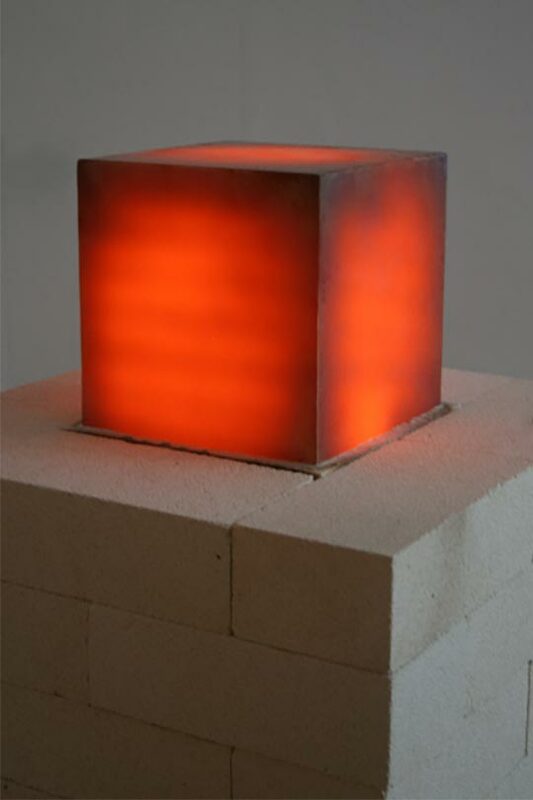 Surrounding this cube is a rippling heat haze, filling the space with an almost unbearable heat. 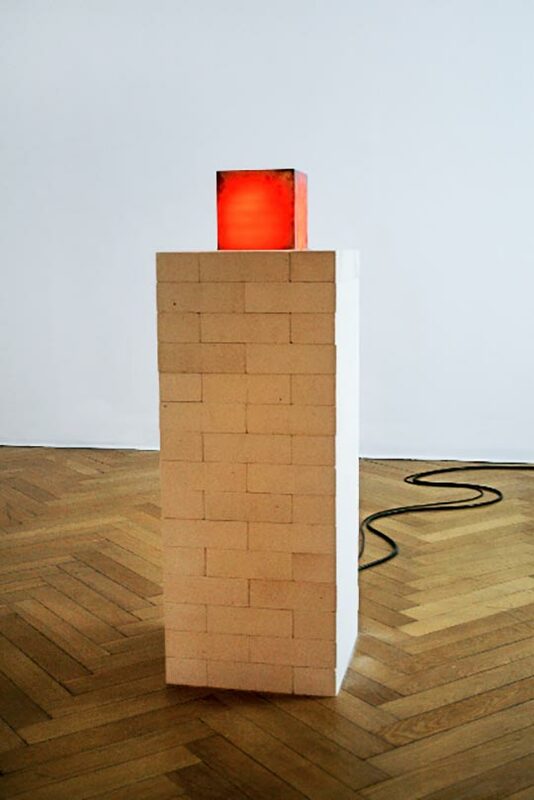 On the wall is fastened a digital display that reads the cubes temperature. The room is bathed in a low light level. We experience, first through light, then through heat - an object; neither solid nor liquid balanced at the edges of its own being.